Design and establish a formal departmental structure for efficient and permanent program implementation. 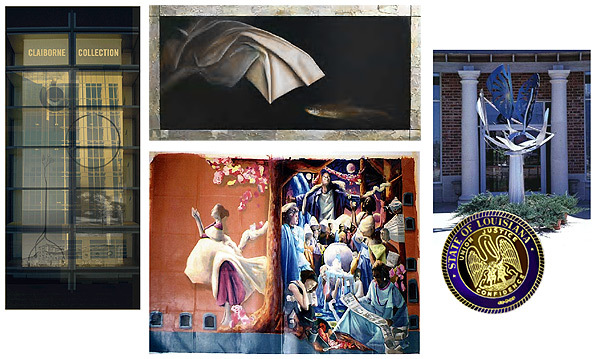 Louisiana Percent for Art is a statewide program established by law that ensures one percent of expenditures to construct or renovate state property in excess of $2 million be used to commission or purchase art for the building and its grounds. The program was created by legislation in 1999 but, by 2001, still had not been instituted. Attend national conference, research national models and recommend appropriate staffing and budget guidelines. Development (OCD) through the Department of Culture, Recreation and Tourism (CRT), and the Office of Facility Planning and Control (OFP) to determine program management procedures and design a technical protocol for capital outlay process. Consult on and assist with initial commissions and purchases. Align existing department capacity with future administrative goals.